"We all do chores because we are part of the family. We don't get paid for those chores." I turned out pretty well and manage my finances just fine. chores that need to be done everyday - especially during the summer. day and that they should be compensated monetarily for doing some of those chores. So, VOILA! Here is my solution - a chore chart for my kids! I'm a visual person. I like to see "check" that is done and move on to the next thing. So, I made a reusable to-do list chore chart for JT and Isabella. icon to the right side when they've completed the job. I laminated the chart and icons and used Velcro to adhere the icons to the chart. I put magnets on the back of the chore chart and it is displayed on the refrigerator. The first chore they both complete every morning is the "Morning Routine". get dressed, put pajamas away, eat breakfast, clean up breakfast dishes, and brush your teeth. of the things that are included in the morning routine. "Go get ready for bed!" 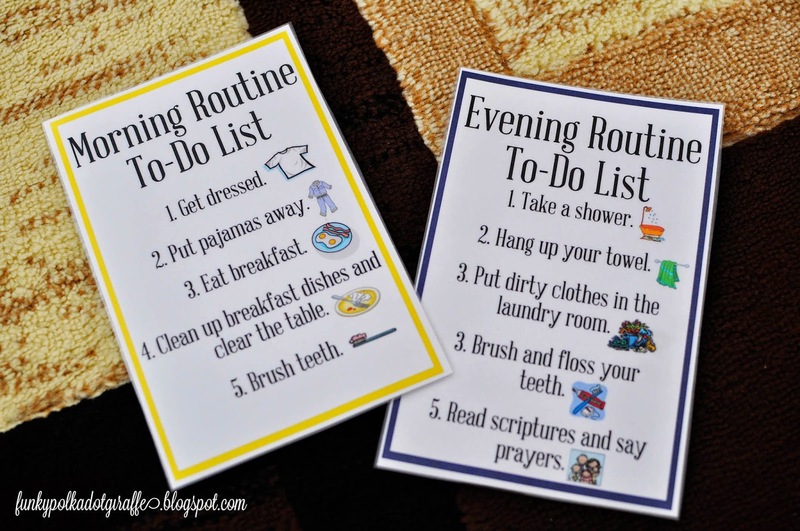 Some of their chores are the same and a few are specific to the child. 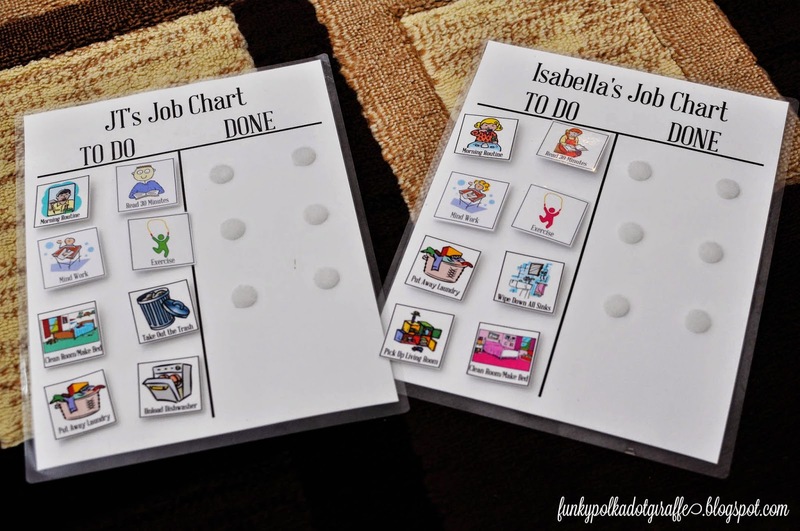 You can download a blank chore chart and chore icons for use in your home! and how we keep track of the money and pay it out. 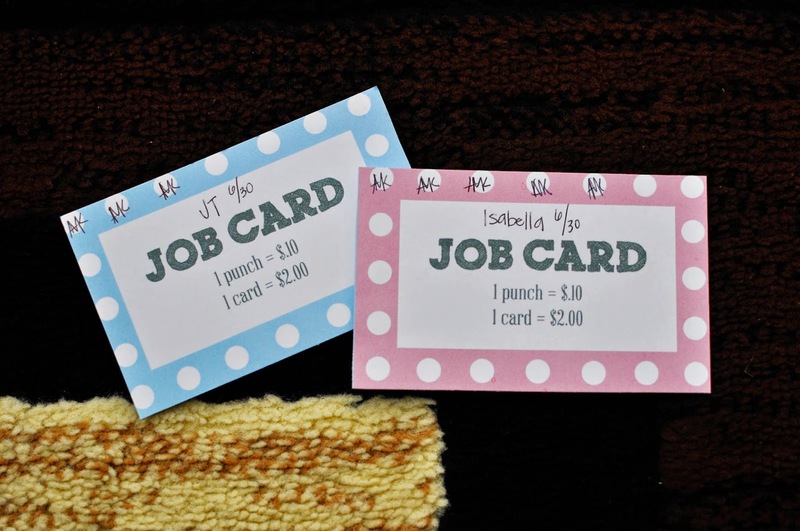 Then of course your punch cards are simply wonderful!